Top reliability is essential for monitoring (CCTV) systems, as they protect sensitive areas and are of great value. In addition, the installation sites for camera systems must be easy and flexible to change without encountering signal quality problems. Amphenol-Air LB offers the perfect solution which works in all kinds of wind and weather. 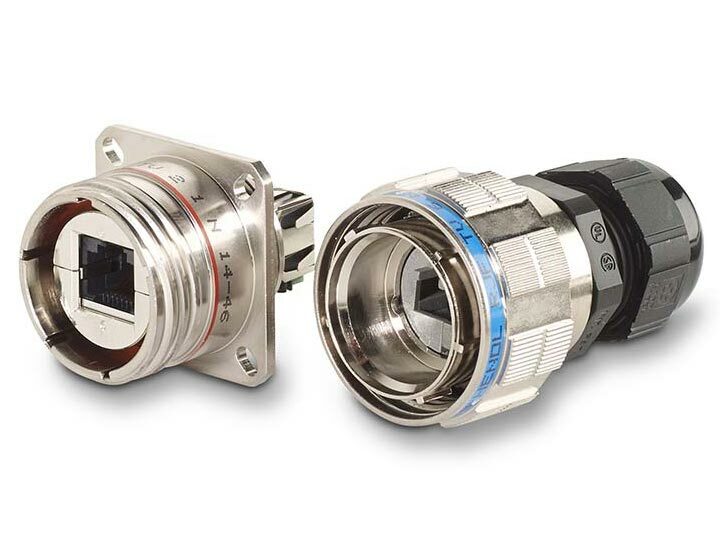 RJFTV connectors provide data transmission via Ethernet in rough environments - these connectors are therefore frequently used in CCTV applications. Data transmissions using Cat5E, Cat6 and Cat6A are supported.